LeBron James. Stephen Curry. The Goodyear Blimp. The Chosen One. The Unanimous MVP. The World Famous Icon. 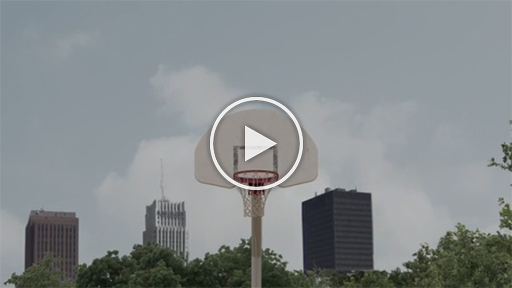 With the world’s greatest basketball players set to compete on the sport’s biggest stage, The Goodyear Tire & Rubber Company will celebrate their birthplace by getting the next generation of Akron greats off to a winning start. 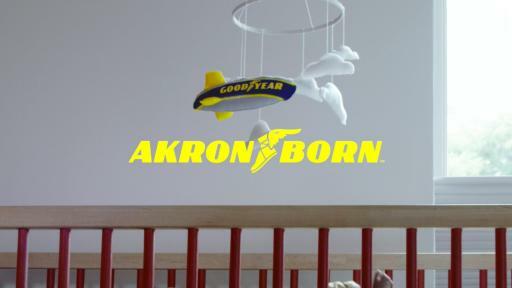 To do this, Goodyear will honor babies born in Akron-area hospitals during the NBA Finals with a “Most Valuable Ride” care package consisting of a set of Goodyear tires, an “AkronBorn” onesie and a brand-new infant car seat. Three Akron-based medical facilities – Summa Akron City Hospital, Cleveland Clinic Akron General and Akron Children’s Hospital – will “assist” the initiative and help deliver the care packages to families of newborns. The package builds on Goodyear’s recent Safe Mobility Project with Akron Children’s Hospital. Goodyear will bring the activation to life through compelling social media content, print advertising and community engagement. 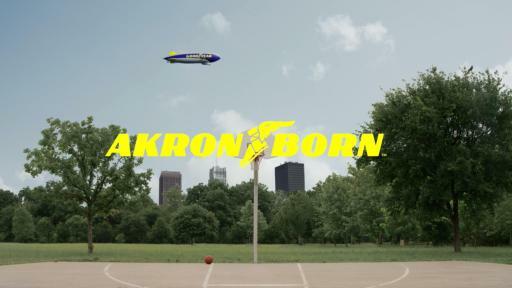 Adding to the “Akron Born” concept, the Akron-based tire manufacturer will conduct a social media campaign asking consumers to take pictures of Goodyear tires on their vehicles and share them using #AkronBorn with one winner being selected for a ride in Goodyear’s most iconic aircraft– the world famous Goodyear Blimp. Additionally, community members born in Akron will be invited to post a photo of themselves and use #AkronBorn to show their local pride. For #AkronBorn details, visit Goodyear’s Twitter (@Goodyear) and Facebook platforms (Goodyear). According to birth certificates from the Summit County Health Department, LeBron Raymone James was delivered on December 30, 1984 at Akron City Hospital, and Wardell Stephen Curry II was born on March 14, 1988, also at Akron City Hospital. The hospital is now known as Summa Akron City Hospital. Curry was born in Akron while his father, former NBA player Dell Curry, was a member of the Cleveland Cavaliers. The first Goodyear Blimp was “born” in 1925. The latest airship in the company’s world-famous fleet, “Wingfoot One,” was christened August 23, 2014 in Akron, continuing Goodyear’s leading expertise in more than 60 years of aerial broadcasting of top events and the biggest games. Goodyear will provide aerial coverage during every game of this year’s NBA Finals. Goodyear, founded in 1898 in Akron, is one of the world’s largest tire companies. It employs approximately 66,000 people and manufactures its products in 49 facilities in 22 countries around the world. Its two Innovation Centers in Akron, and Colmar-Berg, Luxembourg strive to develop state-of-the-art products and services that set the technology and performance standard for the industry. For more information about Goodyear and its products, go to www.goodyear.com. This information is not intended to create or imply an endorsement of Goodyear by LeBron James, Stephen Curry or other parties mentioned.